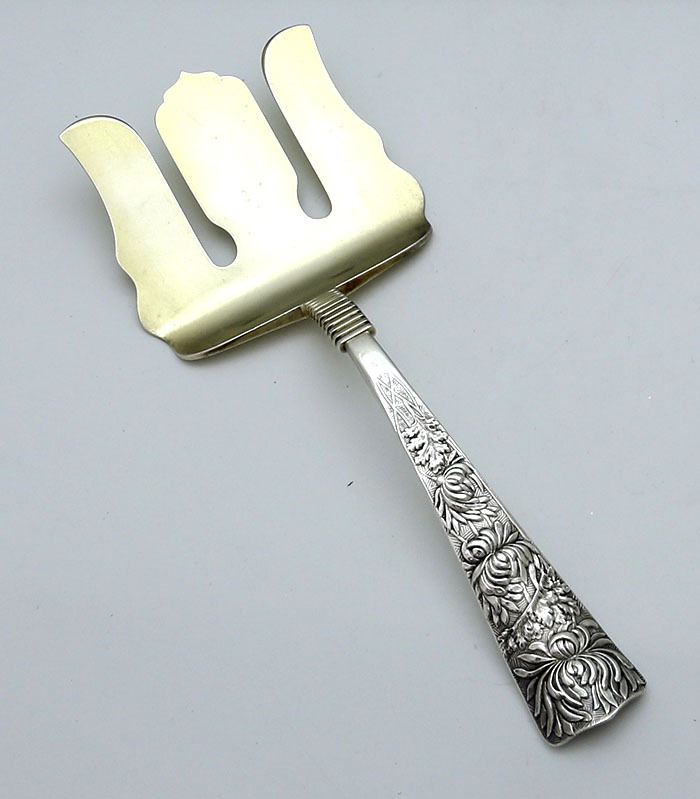 A Shiebler antique sterling asparagus serving fork with gold washed tines and ornate chrysanthemum handle. 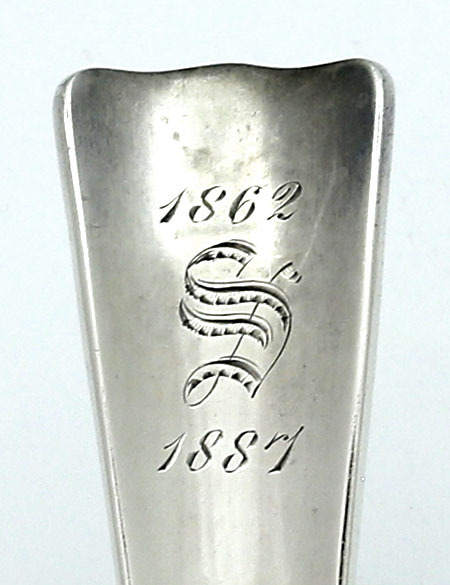 Monogrammed and inscribed on the reverse of the handle. 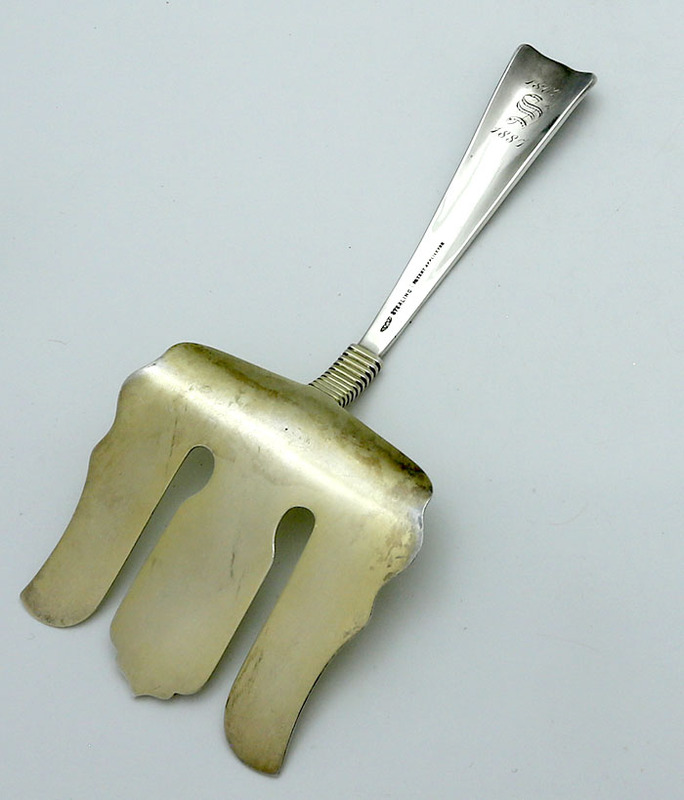 Length 9". Weight 5.10 toz.